First: Free hand a rose petal shape and cut out. 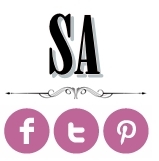 You can trace a few so you have a backup pattern. Second: Fold your Chiffon into a square a little larger than the pattern. Pin the paper pattern to the material and cut around. 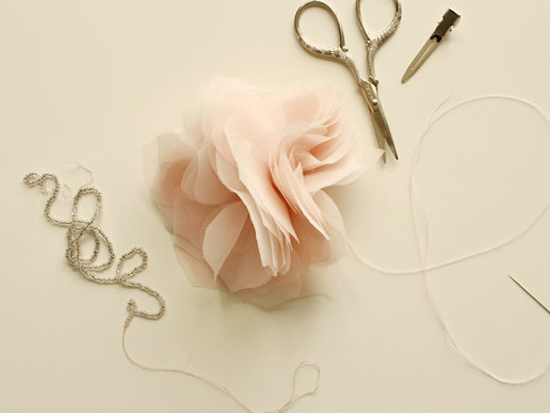 You'll want to keep cutting layers so you can make a full flower. 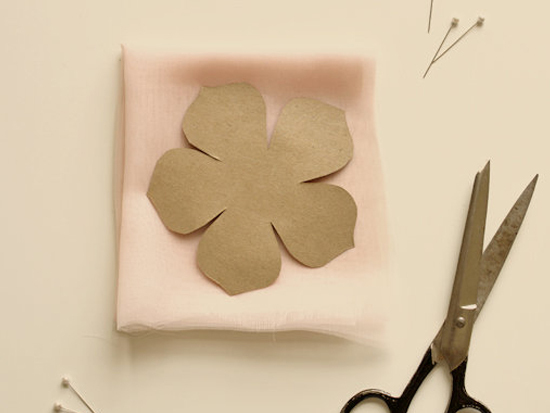 To make this flower they used 26 pieces of the chiffon. Third: Stack fabric cutouts alternating so it gives a layered look. Use a needle and thread to secure them together in the middle. 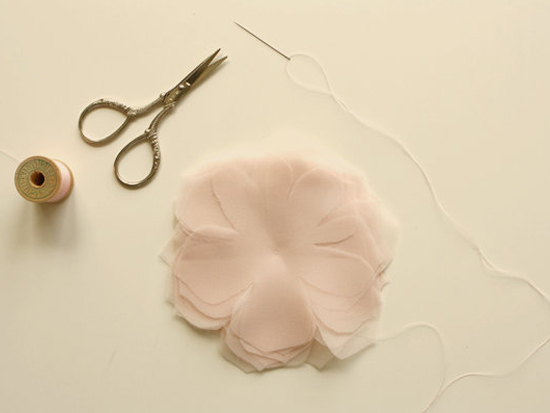 Then pinch together the bottom of the flower and secure with more stitches. 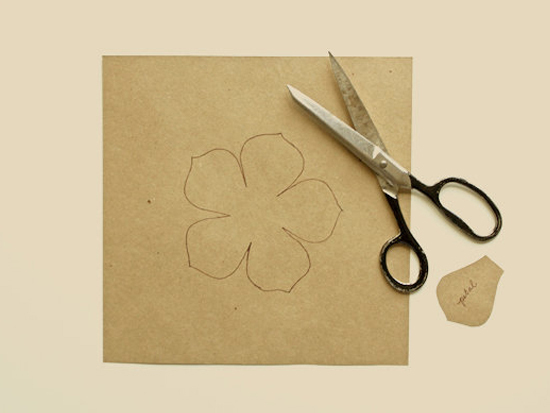 This will create volume and give the flower a rounder shape. Final step: Sew some decorative glass beads in the center. 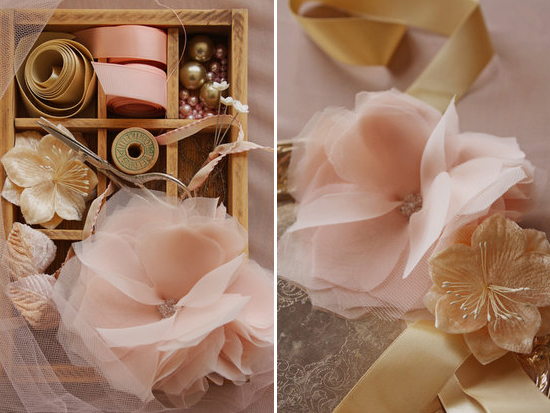 You can then attach your flower to fabric, hair pin, belt, etc.